Our latest top spec quad-copter is the new Denver DCW-360 2.4GHz Wi-Fi hover drone with Wi-Fi, 0.3mpixel camera, 6 axis gyro & altitude hold functions. 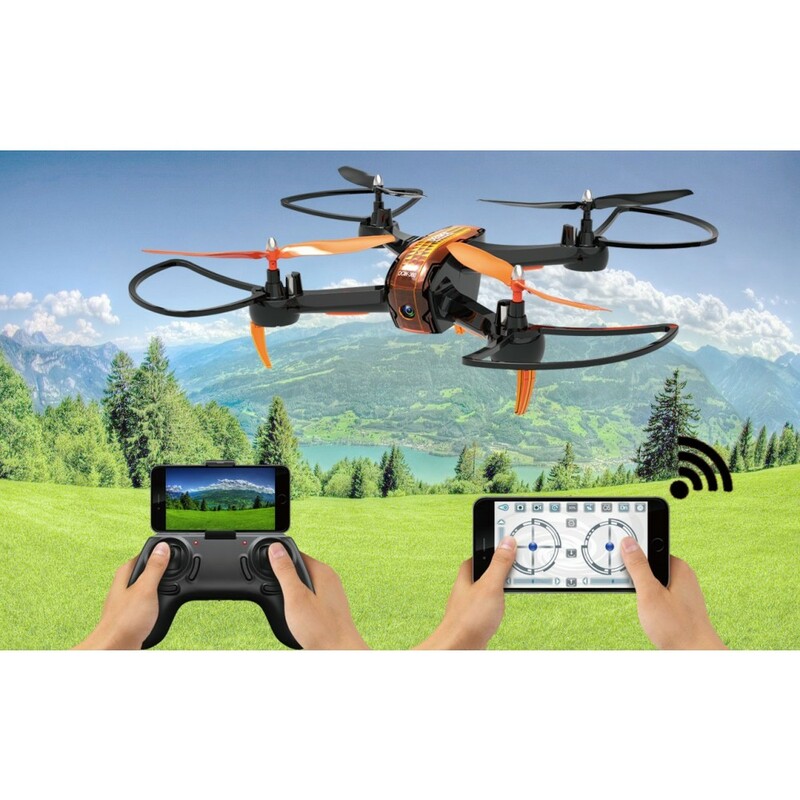 The built-in HD camera allows you to take great photos and videos from up above, by smart phone or remote control and the gyro function and built in Altitude-Hold give it stability, making it really easy to use. 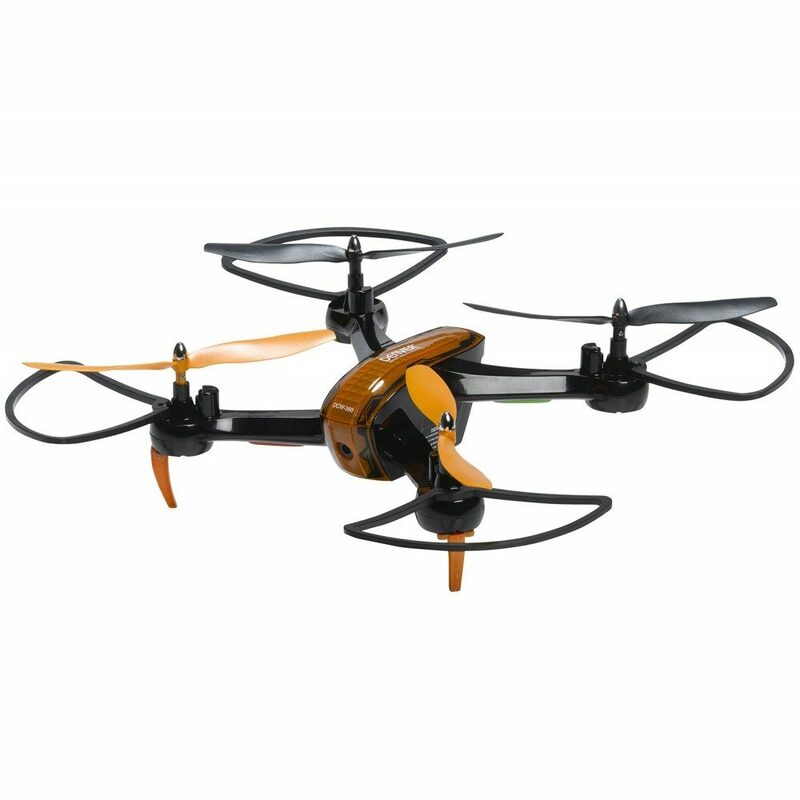 It’s great fun too with the 6 axis up, down, forwards and backwards controls and the 360 degree flip function so you can watch it twist and turn up in the sky above. 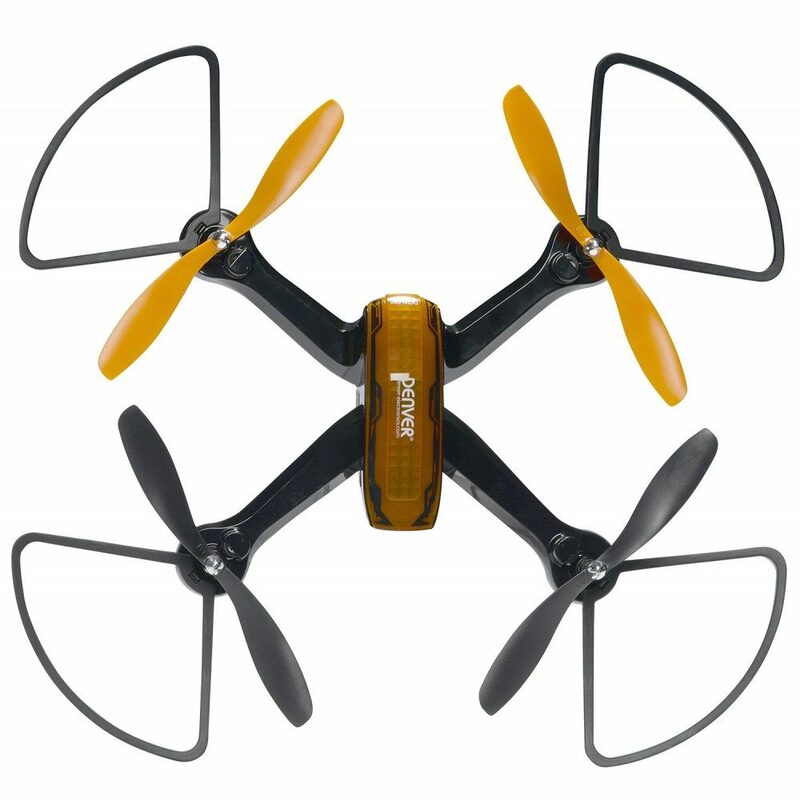 The two-speed option means you can fly fast or slow depending on how daring you feel and it has a range of approximately 30-50 metres, making it a great all-round drone for beginner and experienced flyers alike. 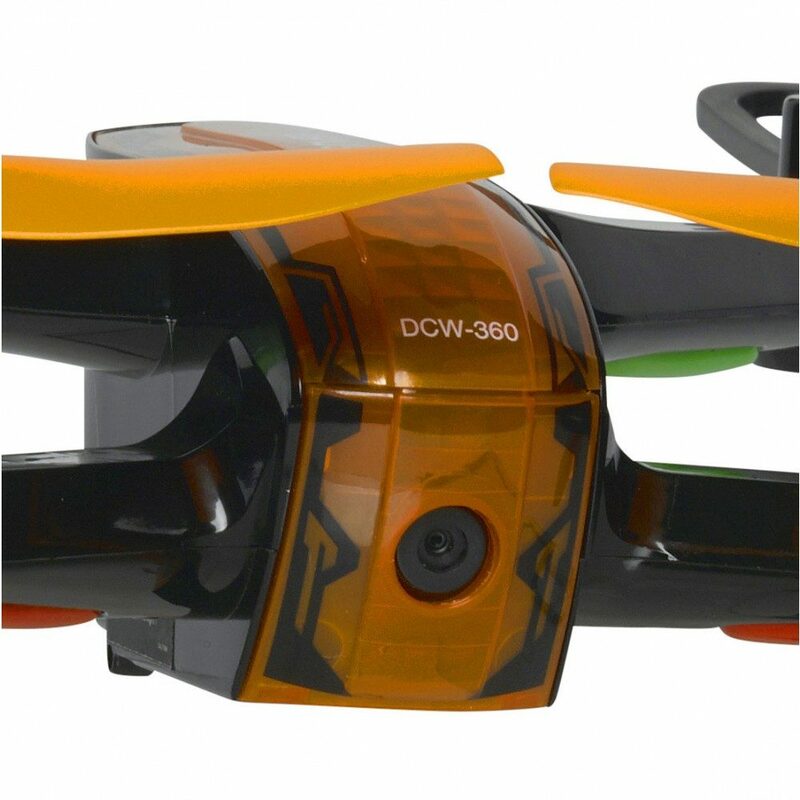 Fitted with 4 channels, 360 degree flip and 6 axis gyro function for stability, the Denver DCW-360 flying 2.4GHZ WiFi hover drone has been designed so that it’s easy to pick up and control, by your smart phone or App FPV & App Control dual function controller. 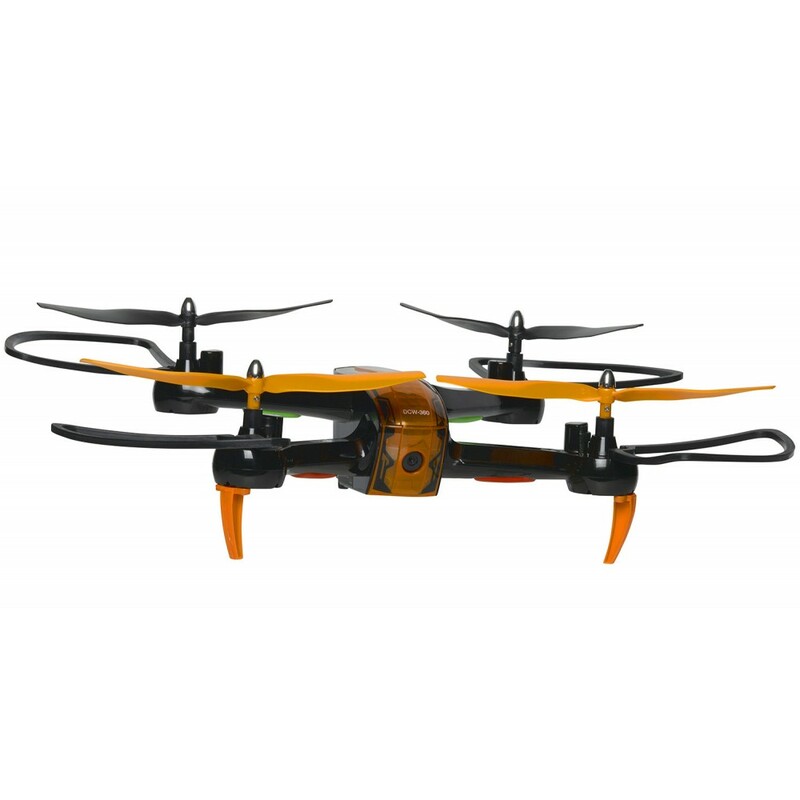 The drone direction is indicated clearly by orange blades at the front and black blades at the back and LED light indicators, and with one key start, landing and emergency stop, it couldn’t be easier to master. 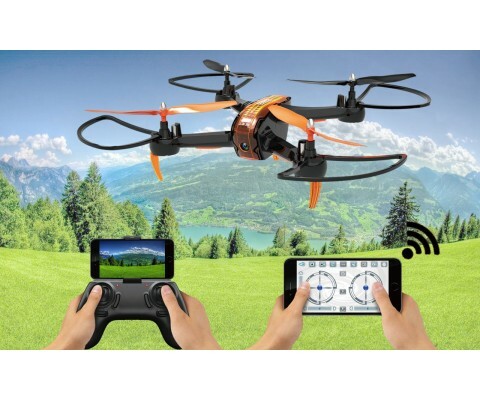 You can use your smart phone in the built in cradle in the remote to fly the drone and with the 2.4GHz digital technology you’ll avoid interference, while flying and taking photos and videos. Store and playback your photos and videos directly from your device. The built-in 0.3mpixel camera takes great photos and videos too, recording in 480@30fps (640×480). Images and videos can be stored directly on your connected smart device. Or insert a Micro SD card (card not included) into the slot and control the camera from the included remote control. Download those pictures and videos to your PC by the included USB connection. The drone is powered by the included rechargeable battery which takes around 1.5 hours to charge and will fly for ten minutes at a time. The remote control is powered by four AA batteries (batteries not included), the unit charged via the included USB charger and your photos and videos stored on the connected device or your micro SD card (not included). Have some fun with the 360 degree flip function and adjust the speed between the fast and slow settings. Fly it up, down, forwards and backwards, twisting and turning through the sky. 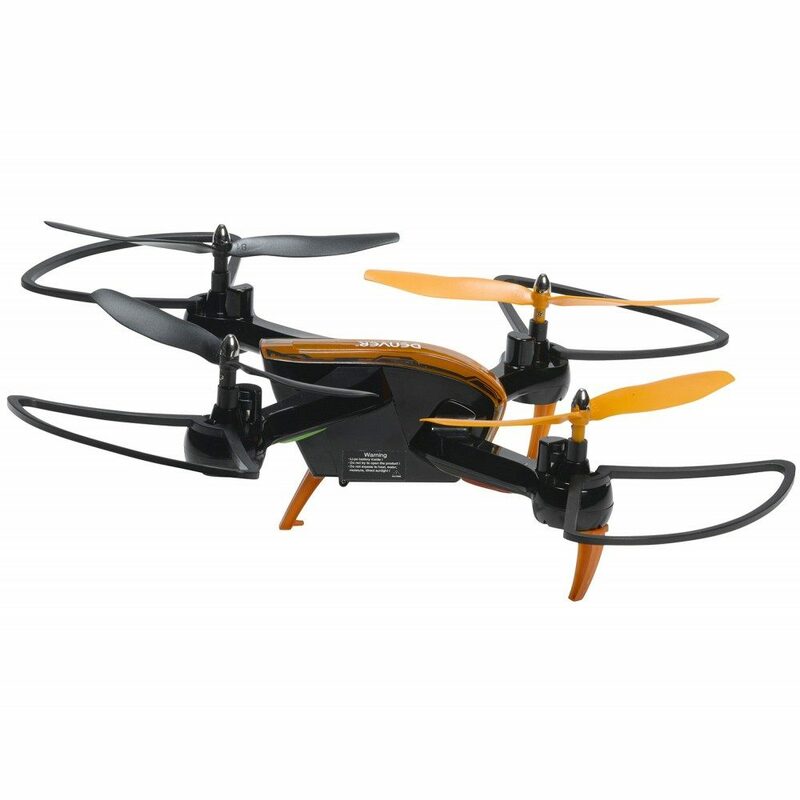 Use the Altitude Hold function and see the drone hover in the air automatically. 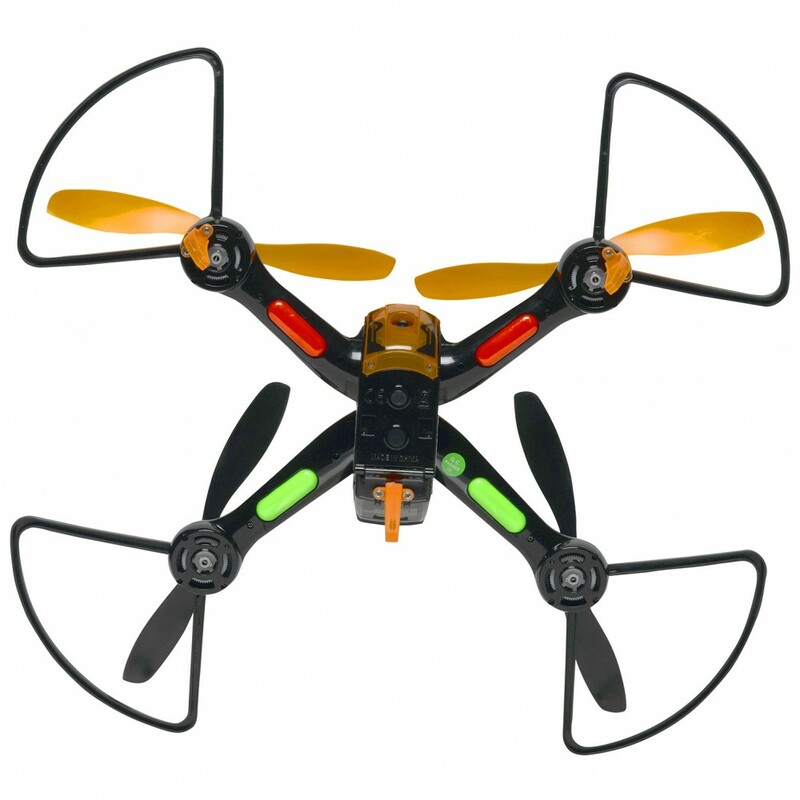 The 4 LED lights make it easy to see at night, indicate the front and back of the drone and, when the drone is low on voltage, the LED light will flash. 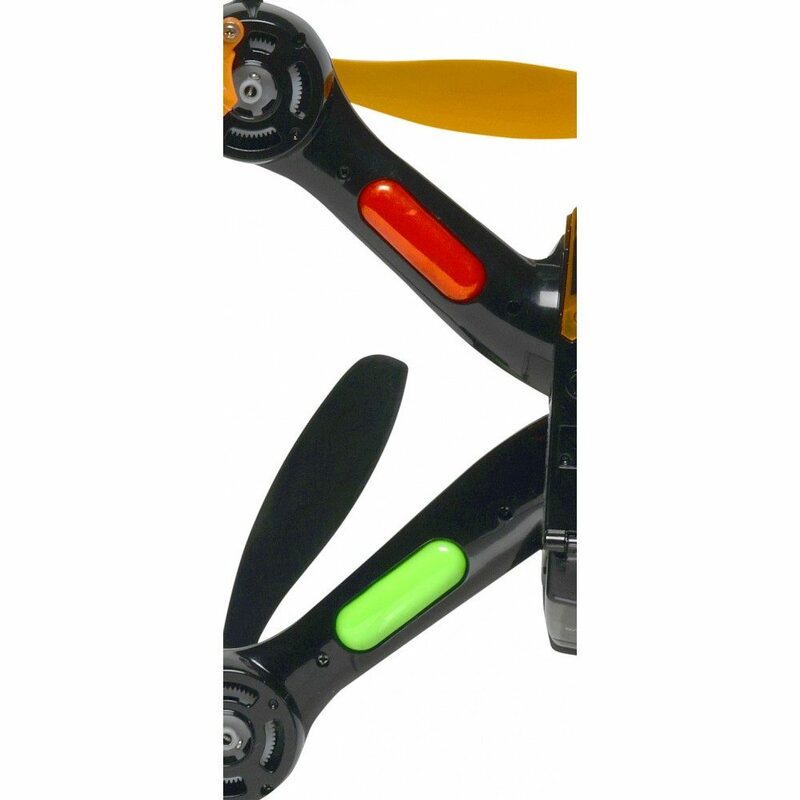 Other safety functions include prop guards to protect the drone and users, a premium cartridge style rechargeable battery and unique tripod feet design. The operation area is approximately a 30-50 metre range. 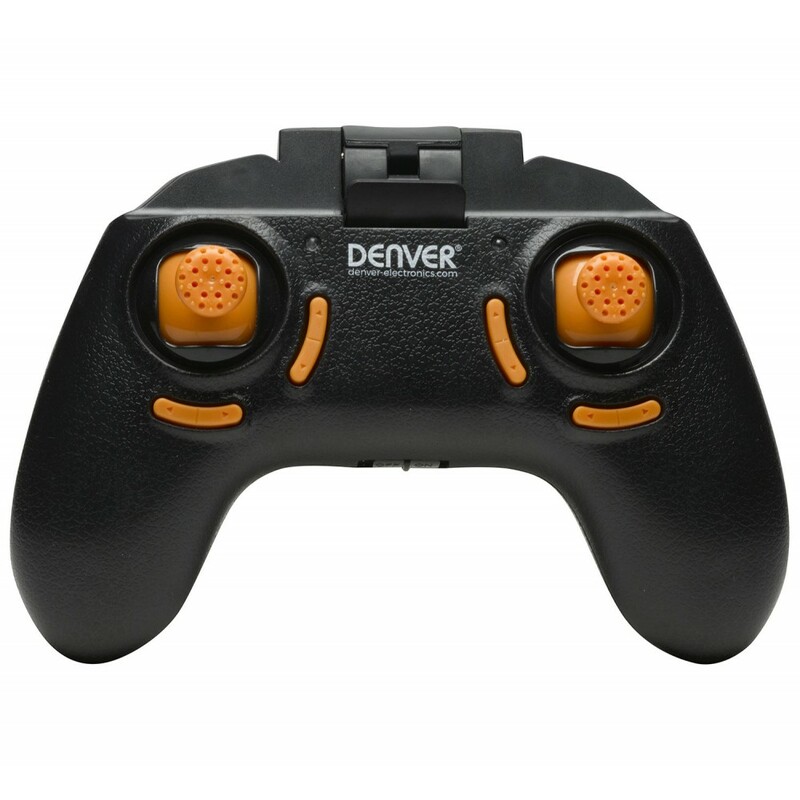 Remember to allow plenty of outdoor space to fly the Denver DCW-360 and be aware of people around you. Follow the easy to remember Civil Aviation Authority’s (CAA) D.R.O.N.E code: Don’t fly near airports. Remember to keep your drone in sight (realistically below 400 ft). Observe your drone at all times. Never fly near aircraft. Enjoy responsibly.